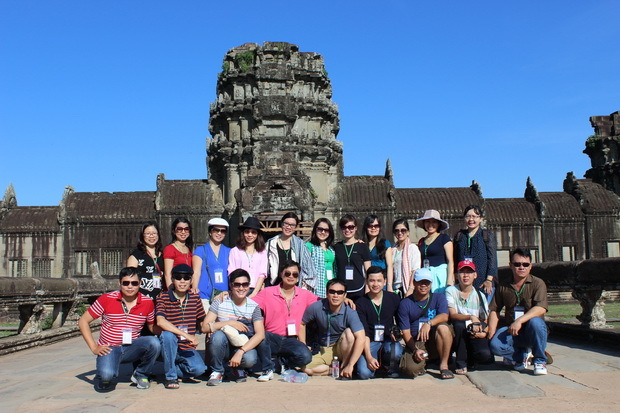 SEAMEO RETRAC Trade Union organized a retreat for all staff to Cambodia from June 01 to 03, 2015. This trip was a great chance for SEAMEO RETRAC staff to take a rest after a long hardworking year as well as to reinforce the mutual understanding and cooperation among staff and between staff and management board. During the trip, RETRAC staff had a chance to come and visit Angkor Wat, one of the World Cultural Heritage inscribed by UNESCO. Also in this occasion, SEAMEO RETRAC paid a visit to Tonlé Sap, the largest freshwater lake in Southeast Asia. 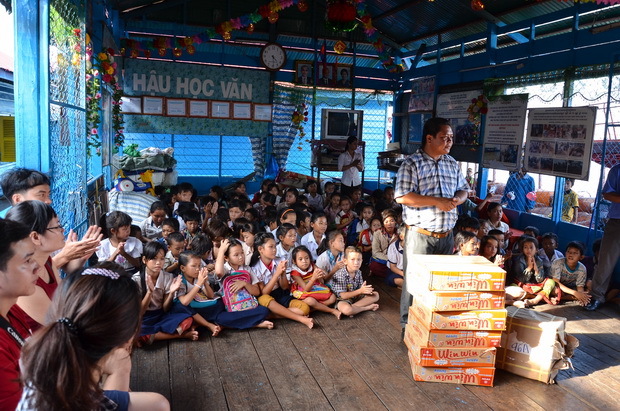 The Center also presented gifts including pencils, notebooks, and foods to more than 350 ethnic Vietnamese students, living and studying in floating villages around Tonlé Sap.